I had heard about the egg and bacon ice cream at the Fat Duck – a bit of molecular gastronomy from Heston Blumenthal’s wild and weird tasting menu. I found the above video, showing it up close and personal, on the All Things Ice Cream blog. It wouldn’t be my thing at all, but you might find it interesting! noooo…nooooooooo…..call me old fashioned but bacon belongs on some pig’s belly or the occasional all you can eat breakfast buffet at a slot machine casino. It’s like ice cream is the food of the God’s, it’s dang near perfection……I just can’t get how adding a bit of bacon would make it better…seems like a shock value thing. Excuse me while I go cry a little bit over the violated icecreams and console myself with a frozen dose of real happiness….. Yes, I was very disturbed/intrigued by the idea of bacon in my ice cream. Then again, my friends are on this kick of “bacon beer”. I forget the name of it, but apparently they say it tastes like bacon. OK, so I not giving up my favorite flavors, but I’ll be the contrarian and bet that it is quite tasty… The flavor profile would be similar to salted caramel – sweet, with an edge of savory & a bit smoky. I actually played with several “bacon & egg ” dishes as an exercise back in culinary school. Meringue cookies studded with bits of crispy brown sugar bacon are surprisingly good. Don’t get me wrong – I like all sorts of weird combinations, but draw the line at bacon. I’m not a meat-eater anyway! Ok I certainly wouldn’t want to make this ice-cream at home but if the opportunity arose to visit The Fat Duck I’d certainly give it a go then. I am always game to try stuff like this, I bet it is delicious. Very cool ! I recently got heston blumentals cookery book, great read! Wouldnt mind making the icecream, he never mentions how to make the other 5 dishes to accompany though!! His book is incredible in the fact that some dishes take up to 22 hours cooking time for all the individual pieces, excluing preparation! Im too lazy! nooo noooooooo bacon+ice cream=wronnngggggg not that I’m obsessed about my ice cream………. 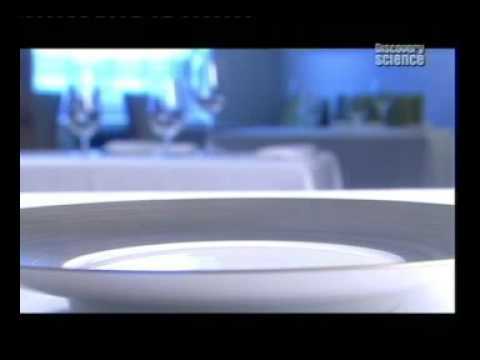 I think many of Heston’s dishes surprise people more than anything. I’d say it’s fab as I don’t think he can do any wrong. His snail porridge which sounds ick is supposed to be more like a risotto which is supposed to be sublime. I’d love to try it but could imaging it tasting disgusting if I tried to make it myself! If you are looking for the recipy you’ll find one one David Leboitz’ blog.I’m still not sure about it. To many other ices to try first.